The Manchester Centre for Gothic Studies, based at Manchester Metropolitan University, has launched its second Gothic Manchester Festival. Its programme includes a tour of the John Rylands Library (a neo-Gothic stunner), a Victorian lantern show, an afternoon of Steampunk and panel discussions by the UK’s leading scholars on a variety of subjects around Gothic art, literature and architecture and its influence on modern culture. 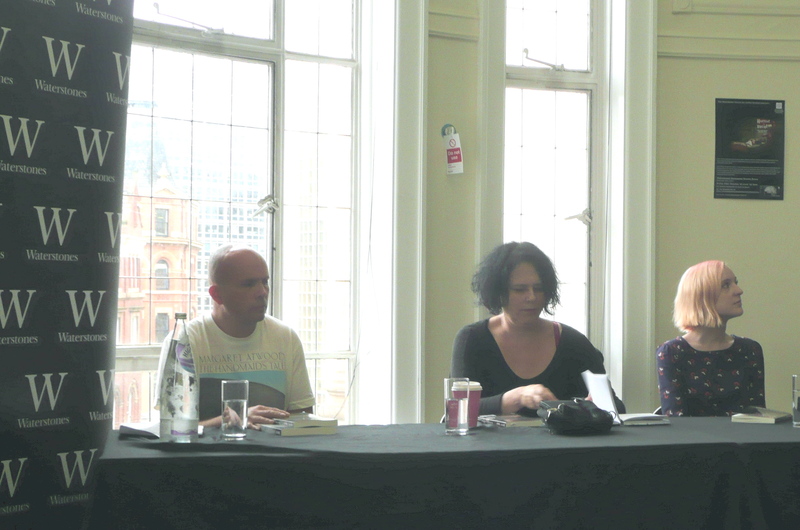 Iwent to Twisted Tales of Austerity, an event at Manchester’s Waterstones hosted by Twisted Tales exploring how the Gothic can critique the current mainstream political consensus surrounding poverty and the welfare state. There were readings by authors from Horror Uncut: Tales of Social Insecurity and Economic Unease, followed by a panel discussion and Q&A. Tom Johnstone, the anthology’s co-editor, read Joel Lane’s “A Cry for Help”, the final sentence of which packed a hard punch. Rosanne Rabinowitz, a Shirley Jackson Award nominee, read from her affecting story, “Pieces of Ourselves”. My personal favourite was Lauro Mauro’s “Ptichka”, which was a vivid and visceral piece of writing about an immigrant who finds herself pregnant in a post-NHS Britain. It was also great to catch up with Simon Bestwick, who also contributed to the anthology, Cate Gardner and Roy Gray from TTA Press. A reprint of my own story, “The Ballad of Boomtown”, is also included in the volume. A note on Cate Gardner: She quietly gets on and does her thing. And what a thing! Cate’s shy about it though. She’ll never tell you that Damien Walter (of The Guardian) listed her Theatre of Curious Acts in the top five of his Indie Sci-Fi and Fantasy Hunt. Twisted Tales aims to promote horror across a range of different media, from live events across the North West to critical reviews. It was founded by David McWilliam (a doctoral student and Associate Lecturer at Lancaster University, Liverpool John Moores University, and Manchester Metropolitan University) and Glyn Morgan (Ph.D researcher and tutor at the University of Liverpool) in 2010.